Fill in the blanks . A certain range of values within the tolerance range which defines the conditions under which an animal is most successful is called the range of______________ . Limiting factor: The factor which become out of tolerance range of an animal is called __________ factor. The orientation of an animal in response to an abiotic factor is called__________. The orientation in response to light is called _____________. The accounting of total energy of an animal and a description of how that energy is used and lost is called energy______________. The energy left after existence and excretory functions is called ___________. The daily time of decreased metabolism and lowered body temperature is called____. The period of inactivity in some animals for withstanding dry period is called______________. ________________ are groups of individuals of the same species that occupy agiven area at the same time. The death of individuals is characterized by survivorship _____________. The increase of population by the same ratio per unit time is called_____________growth. The factors which are not influehced by density of population are called density____________ factors. Competition among members of the same species is called___________________competition. The coordinated evolution of ecologically related species in such a way that each species exerts a strong selective influence on the other is called___________________. A symbiotic relationship in which one member benefits and the second is neither helped nor harmed is called _______________. The hiding of an animal or its developmental stage from another animal by_______________. animal’s color patterns is called ________________. uxygen and inorganic ions, light, temperature, and current or wind velocity. What is range of optimum? Differentiate between positive and negative phototaxis. Ans:. The movement of animal towards light is called positive phototaxis. Well lighted environment favours some animals. Therefore, they move toward a light source. The movement of animal away from the light source is called negative phototaxis. Some animals prefer low light intensities. Therefore, they move away from a light source. Ans: The accounting of total energy of an animal and a description of how that energy is used and lost is called energy budget. Favorable energy budgets are sometimes difficult to attain. Ans: The energy left after existence and excretory functions is called productive energy. Productive energy is used for growth, mating, nesting, and caring for young. Enough amount of ()reductive energy is required for the survival of an apimal. Ans: The period of inactivity in some animals for withstanding dry period is called aestivation. What is survivorship curve types I? Ans: It gives convex curve. Individuals-in type I populations survive to an old. age. Then they die rapidly. Environmental factors are not important They do not influence mortality. What is survivorship curve types III? Ans: It gives concave curve. Individuals in type III population show very high juvenile mortality. There is much lower mortality rate in adulthood. Fishes and many invertebrates show type III survivorship curves. Ans: The increase of population by the same ratio per unit time is called exponential growth. Ans: The growth in which population reaches a carrying capacity and does increase further is called logistic population growth. The population size that a particular environment can support is the environment is called carrying capacity. What is density independent and density dependent factors? Ans: The factors which are not influenced by density of population are called density independent factors. The factors which are influenced by density of population are called density dependent factors. These factors are more severe when population density. What are herbivores and predators? that each species exerts a strong selective influence on the other is called coevolution. What is definitive or final host? 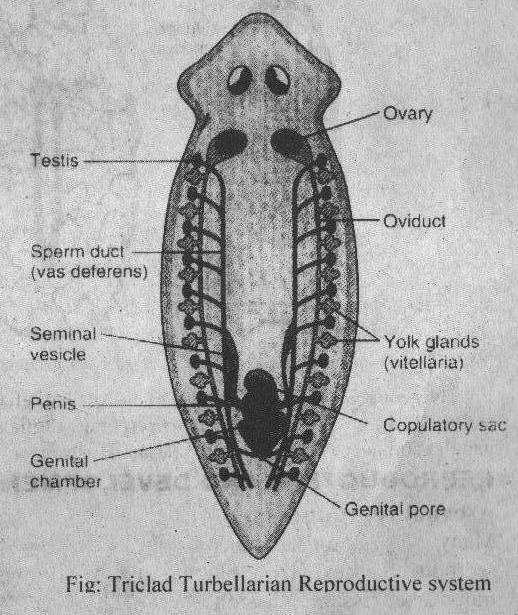 Ans The host in which sexual stages of the parasite live is called definitive host. A fertile female lives in a definitive host. It produces and releases thousands of eggs in its lifetime. Ans A symbiotic relationship in which one member benefits and the second is neither helped nor harmed is called commensalisms. Ans: Some dangerous or distasteful predators develop different colours. They advertise their condition by this conspicuous coloration. The skunk have sharp white stripe. Similarly, poisonous snakes hav,e bright colors. These color patterns are examples of warning or aposematic coloration. Ans: In this case, a species resembles one or more than one, other species. It gains protection by this resemblance. he orientation of an animal in response to an abiotic factor is called taxis. 7. T e period of inactivity in some animals for withstanding dry period is called a stivation. Certain range of values in which an animal live is called tolerance range for any environmental factor. The factor which become out of tolerance range of an animal is called limiting factor. The orientation of an animal in response to an abiotic factor is called kinesis. F The orientation of an animal in response to an abiotic factor is called taxis. The daily time o: decreased metabolism and 1,wered body temperature is called torpor. Torpor is a time of decreased metabolism and lowc red body temperature during winter. . The period of inactivity in some animals for withstanding dry period is called aestivation.